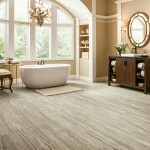 The new Vivero luxury vinyl tile from Armstrong offers tile flooring in natural stone finishes. 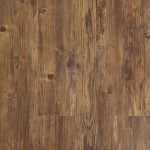 You’re probably saying to yourself, “Yeah, well a lot of luxury vinyl tile comes in stone finish”. Well, you’re right but not every LVT comes with a surface protection made of diamond. American Carpet Wholesalers has a great selection available in their online catalog. The Diamond 10 technology (patent pending) is an Armstrong exclusive that utilizes real diamonds in its manufacturing process. Not only that, this process also makes Armstrong Vivero a more durable product than competitor products since it not only resists spills, dirt, stains, and scuffing it also is more scratch resistant. On top of that the Vivero tiles will not buckle, swell, or lose their integrity! Armstrong makes the claim that these are 100% waterproof, as always we suggest that you check the warranty for details. Here is a video showing how tough Vivero with Diamond 10 is. The IntegriLock system is a first of it’s kind locking system in the luxury flooring industry. Featuring the innovative Välinge 5G lock, this premium locking system installs simply and securely over almost any subfloor with minimal prep and no glue or adhesive required. With a quick, clean installation and fantastic results, IntegriLock System is a dream come true. This floor can be walked on right after installation! Some of these features are only available on the better and best quality level of products so be sure to check on that before you purchase. To ensure that you get the luxury vinyl flooring you need for your project, give American Carpet Wholesalers of Georgia’s flooring experts a call. Not only will they be able to pinpoint the best flooring for your project, but they can also make sure you can get the best price available for that luxury vinyl too. 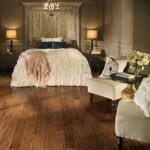 Give them a call today at 800-548-2706 today, and tell them that floortalk.com sent you!